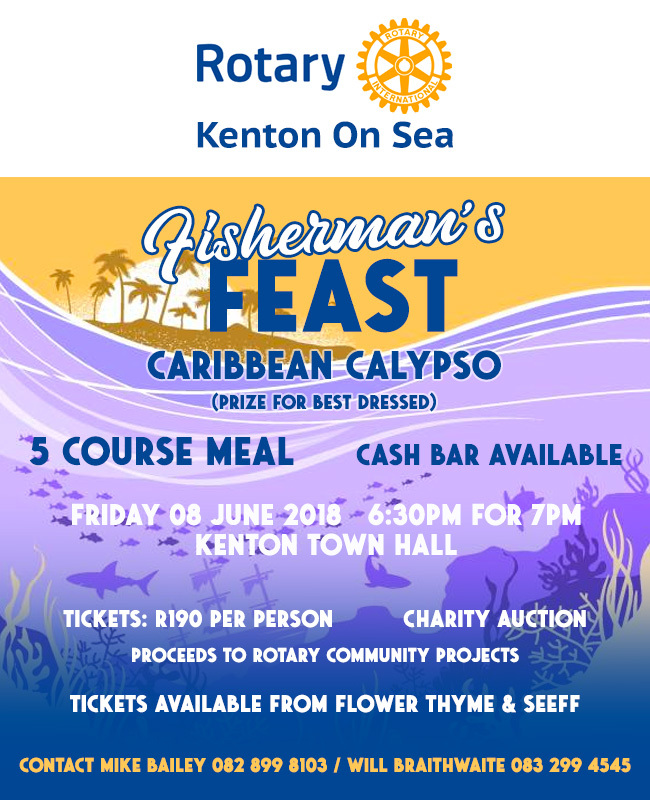 Join Rotary Kenton On Sea for an evening of fun at the Fisherman’s Feast evening. The theme is Caribbean Calypso, so dress accordingly and you can stand a chance of winning the ‘Best Dressed’ prize. The evening includes a 5 course meal, and a cash bar will be available. There will also be a Charity Auction. Cost: R190 per person – tickets available at Flower Thyme and Seeff. For any questions, please contact Mike or Will.